Marquez, the first Filipina to compete and win in the Reina Hispanoamericana (Hispanic American Queen), an annual beauty pageant celebrating Hispanic heritage, language and culture, bested 26 other contestants in the competition. 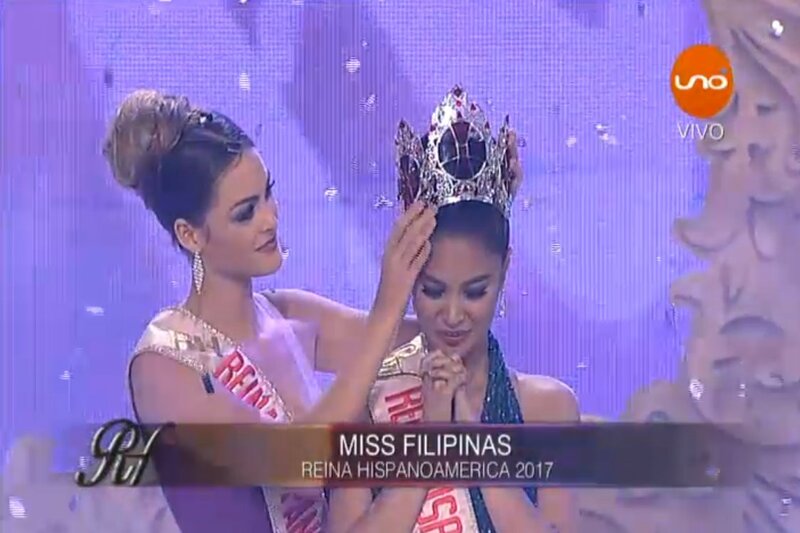 Winwyn was crowned by Reina Hispanoamericana 2016 Maria Camila Soleibe of Colombia. The Pinay beauty who was last to get asked a question in the Q&A portion gave a well-thought-out answer enough to impressed the judges. She was asked: "How would you promote Hispanic Americana culture with language barriers?" Language can be learned, but the will and determination to contribute something to the organization cannot. I believe that kindness is a universal language. If you treat people with tolerance, patience, and love, you will understand each other. Hispanic culture is not about language only. It's about love for God, love for country, love for history and culture, and love for family. As a Filipina with a unique heritage, I have instilled that. I am ready to promote the Hispanic culture, not just in Asia, but in the whole world. Marquez is the daughter of actors Joey Marquez and Alma Moreno, and the niece of former Miss International Melanie Marquez.